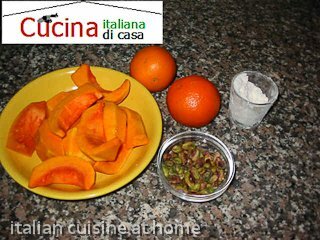 Recipe: cream of pumpkin, oranges and pistachios (vellutata di zucca e pistacchi). Vegetarian recipe. 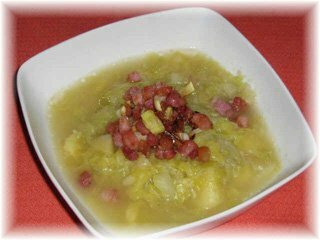 A light soup surprising with all its winter flavours. Vegetarian.